capturing the moment a mother gives birth is the most scary idea in women's life. Recently, Ms Dives shot a series of photographs that have garnered acclaim for their beautiful and 'intense' documentation of a home birth. In one of the first images, the soon-to-be mother, Julia, plays the piano while her sister massages her back. The series continues with Julia getting into a birth pool as her husband, Cris, helps her to breath deeply. Two more sisters and the grandmother and grandfather then join the room to witness the first moments with baby Katherine . 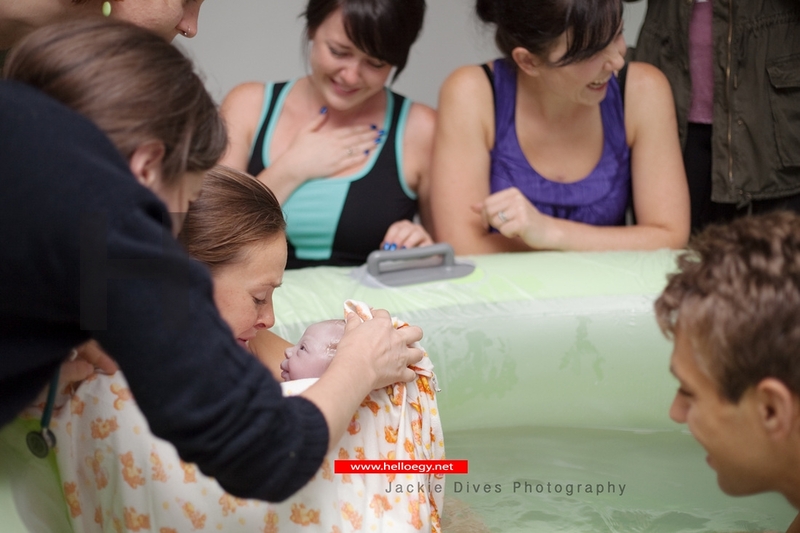 she adds : 'Photographing a home birth is usually very peaceful and comfortable. At a home birth, the couple has chosen exactly who they want to have present, so they are able to be themselves, which I believe is a very important part of birthing, especially for the mother,'. In 2010 Ms Dives was drawn into the realm of childbirth when she was introduced to a doula and was inspired to become one herself. She attended the DONA-approved doula training at Canada's Douglas College, before signing up to be a member of the Doula Services Association, where she was quickly put to work as a volunteer doula for single mothers and couples who were new to the country with a lack of family support. As a doula, Ms Dives assists a woman and her partner before, during, and after childbirth by providing information, physical assistance, and emotional support. She also offers education, massage, visualization and relaxation techniques. Ms Dives is also the primary volunteer photographer for Now I Lay Me Down to Sleep, a nonprofit organization that provides remembrance photography for parents who have lost an infant, she has been photographing home births since the very first birth she attended as a doula when the mother asked her to take some snaps to keep as mementos. "A day or so after I first posted the images on my blog I received an email that said : "I'm not pregnant at the moment nor planning to become pregnant any time soon, but I know now that when the time comes to go into labor one day, there is nothing to be afraid of. Thanks a million!" That pretty much sums up why I think it's important to share images that reflect birth positively,' she said. Ms Dives says she is hopeful that her images with resonate with other women, showing them first hand that a home birth is 'not a wild and erratic choice'. In Mrs Marincat's instance, the possibility of having a home birth was brought forward by her sister. And after meeting with a doula and doing a lot of research, the idea became a preferred reality. 'At first, several people warned them against home births, listing many dangers. But they loved the idea of a birth without an epidural or medical interventions,' explained Ms Dives.